Thoughts from a Traveling Tech: Been to bento and it was goood! I recently went out to Denver and worked with a client in the Highlands Ranch area. 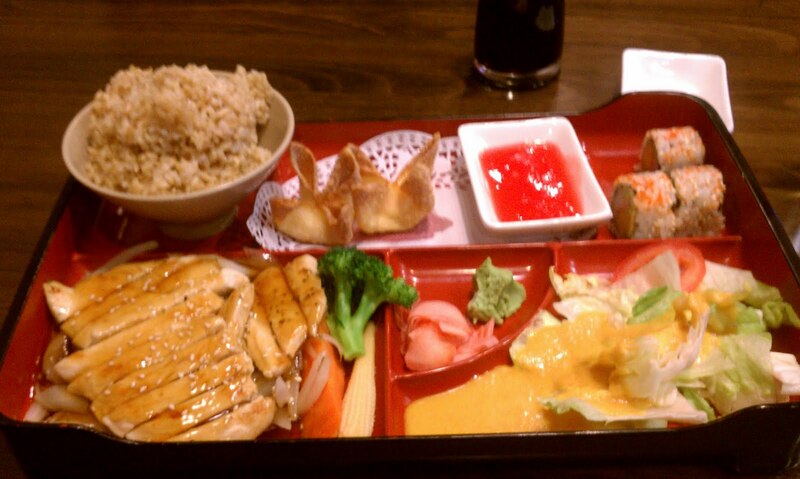 I was looking for a place to grab lunch and stumbled upon an awesome Japanese restaurant. 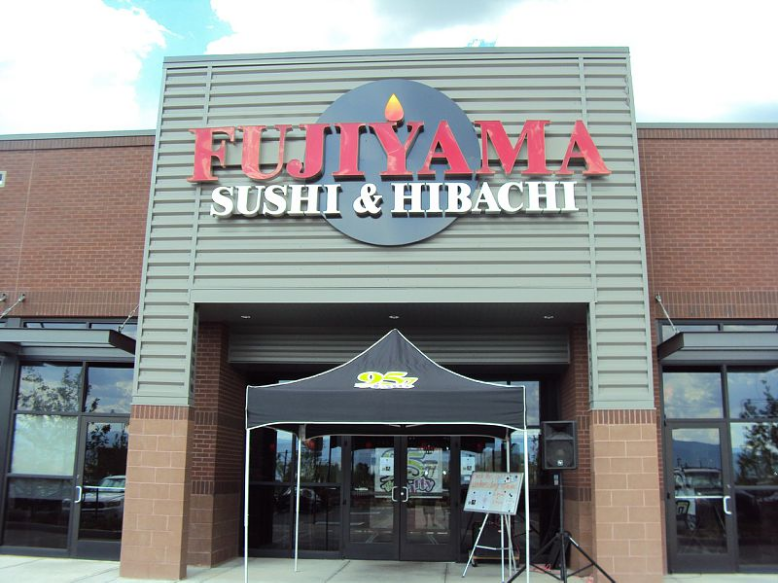 Let me introduce you to FujiYama Sushi and Habachi. 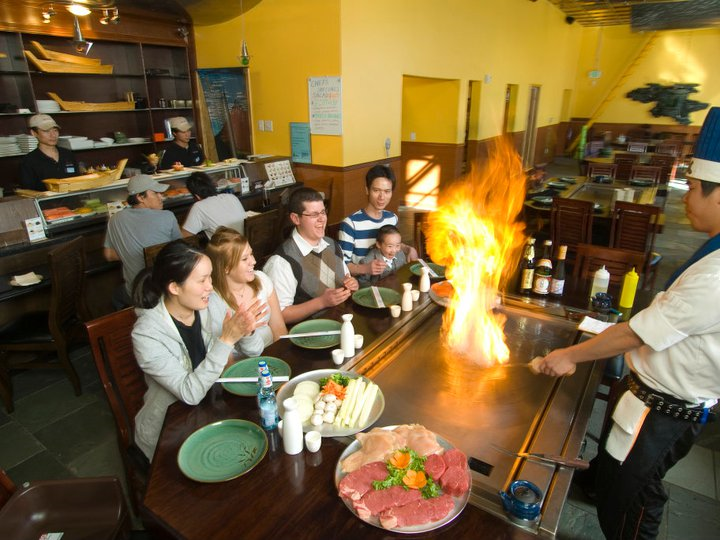 Apparently in Denver when you say Habachi (which is a japanese grill) you actually mean Teppanyaki. You know, the meal where you all sit around a big flat grill and the chef cooks/performs for the group as the food i prepared. Doesn't matter, either way, the food is awesome at this restaurant. The decor is very upscale and sharp looking. The facilities is divided into two areas, the standard dining and sushi area, and the Teppanyaki (Habachi) area. I chose to sit in standard dining since I just needed a quick lunch, and not the show. The menu is quite varied and the food is well done. I ord ered the Teriyaki Chicken bento, and along with the chicken I ended up with 4 California Rolls, miso soup, a small salad, and brown rice ($2 up charge). The chicken was cut thin and sat on a bed of sauteed onions with broccoli and carrot as well. The center is wasabi and pickled ginger. I have never had sushi before, mostly because I do not handle fish very well, and I am not the fondest of various so-called veggies like avocado, but these California Rolls were rockin'! I recently saw a session of NHK's Journey in Japan and learned how to use that wasabi with the sauce. I took a piece of the wasabi, placed it on the sushi, and dipped the sushi in the sauce. Next thing I know, my sinuses are clear and I am breathing better than I have in days! But it tasted sooo good! The meal was worth the effort of using the chopsticks and also worth you money. The cost of the meal was minimal, I came in under $12 for the meal including tip. 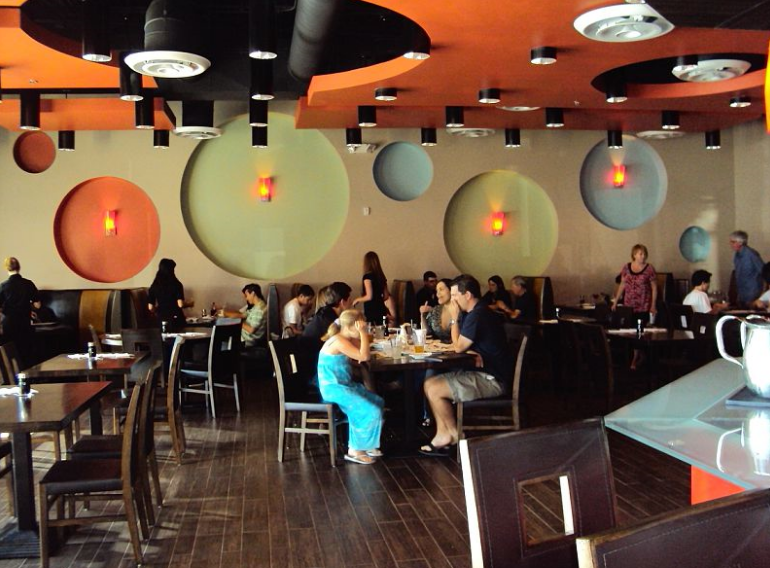 Give them a visit and enjoy the atmosphere and the dining.